If you only have 3 days to spend in Salvador, be prepared for a sunbathe on the sun-kissed beaches and cultural wealth that only the Bahian capital can offer. More than that, you must remember that you are in the Land of Happiness, blessed by All Saints’ Bay. For this reason, there is no need to rush: enjoy each and every moment and you shall have an unforgettable holiday. Make the most of the fact that the locals are working, to pay a visit to the historical parts of town without having to worry about the traffic. Start with the Historical Centre and exploit the mansions and local churches – your children shall love the beauty of their colours. 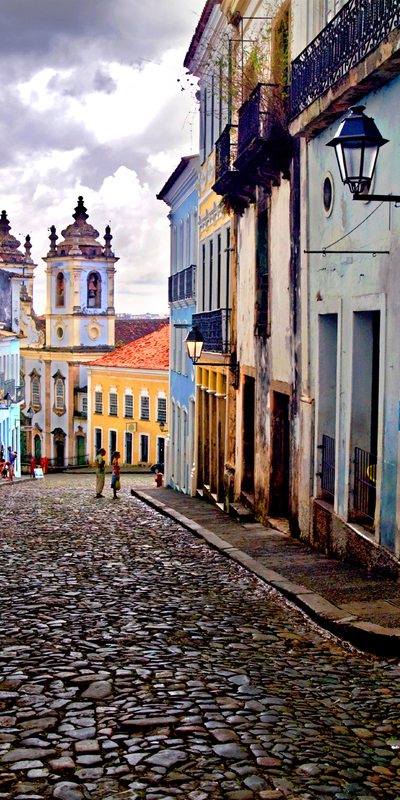 Visit the Pelourinho district and see where Paul Simon and Michael Jackson filmed their famous videoclips. Then pay a visit to Jorge Amado’s House, which keeps the treasures of the second most translated Brazilian author, considering translations around the world (the first is Paulo Coelho, who hails from Rio de Janeiro) – there is also a wide range of children’s books available, these having been penned by Jorge’s wife, Zélia Gattai. Stop for lunch at the ‘Cantina da Lua’ or any other place as you may prefer, as the food is always divine. Then make your way to the Olodum House and ask to see the Young Olodum project, which teaches children to play musical instruments and also show their budding musical talent, from a very early age. On Saturday, visit the Zoo at Ondina. There, your children may get acquainted with native animal and plant species from the Brazilian Northeast – the Botanical Gardens are right there, alongside the zoo. If these attractions are well explored, you can spend much of the day meandering along their steep streets. There are also snack bars and plenty of space to play in the open air. After lunch, take a bus or a special excursion over to the Do Forte Beach and see the Tamar Project, which cares for the preservation of sea turtles. They have an Aquatic Park, where your child may see turtles of different ages and watch explanatory videos, together with following the feeding of the animals. Sunday is the day for the beach in the Bahian capital, so don’t miss this chance. Salvador has a coastline of 44 km and you can take your family to any one of the famous beaches; however, the favourites among families are the beaches of Ondina, Stella Mares, Itapuã and Piatã. Introduce your children to fresh coconut water and other local delicacies, such as pé de moleque (a tasty Brazilian sweet made of peanuts and honey) and cocada (a coconut sweet). In the afternoon, go to the Farol da Barra and take the opportunity to see the sun go down, also visiting the Nautical Museum and leaving your children free to run and play a bit. Another option is the Tororó Dyke, with some premises dedicated to skating, some paddleboats, and other facilities for water sports.